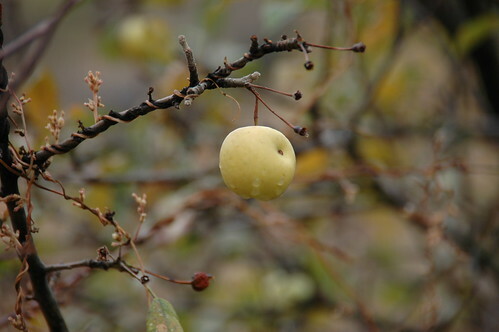 Central Asia is home to an incredibly diverse range of fruit trees. However, low-quality seedlings are currently limiting the yields of local orchards, hampering local farmers’ livelihoods. Using native varieties as source material for improved planting material, as well as training nursery managers, has proved to improve conditions for future fruit production. Farmers in Uzbekistan live in a challenging environment, with poor soil and water scarcity. They benefit, however, from the region’s wealth of fruit trees: Apples, pears, pomegranate, apricots and grapevine all play an important role in providing rural communities with food and income year round. For centuries, generations of farmers have refined their selection of wild and domesticated fruit tree varieties, arriving at a diverse selection that is well adapted to local conditions, including droughts, spring frosts and saline soils. The adaptability and resilience of these varieties allow farmers to grow them in mountains, foothills and plain landscapes. However, farmers’ access to quality planting material is limited. Independent nurseries produce and distribute planting materials of native fruit trees, but in a fragmented, uncoordinated way. Improving the quality and diversity of planting materials on offer is key to securing the long-term food security and incomes of local farmers. 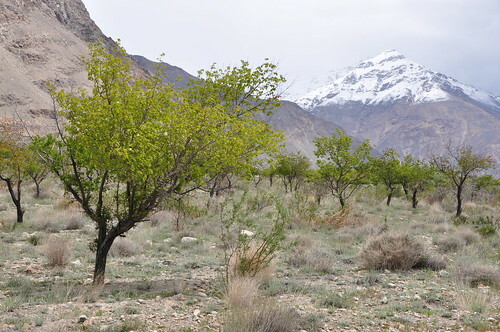 In 2015, scientists began working with more than 60 farmers in the Fergana Valley and Aral Sea Region of Uzbekistan to identify which fruit tree varieties were best suited to local conditions. They set out to make an inventory of 110 varieties of 6 native fruit trees – apple, pear, apricot, grape, peach and pomegranate – grown in the region. They found that farmers were growing 26 varieties of apricot, 25 varieties of apple, 11 varieties of pear, 7 varieties of grape and 6 varieties of pomegranate. It was discovered, for example, that most of the varieties of apricot, common in the north of Uzbekistan, showed resistance to late spring frosts, which is why apricot in this region consistently brings harvest. Among the varieties inventoried, 7 varieties of apricot, 5 varieties of apple, 4 varieties of grape and pear, 3 varieties of pomegranate were found to be “best matches” for local conditions, meaning that they are resistant to drought, soil salinity and spring frosts at the same time. These varieties were deemed good candidates to use as parent genes for improved fruit tree seedlings. Geographical distribution of quality planting material of fruit trees produced in Fergana and Aral Sea Action Sites. Second, to safeguard the future production of fruit and fruit trees, scientists began working with nursery managers. They hypothesized that knowledgeable nursery managers, who are aware of which fruit tree varieties are best suited for local conditions, can provide farmers with the seedlings that best support greater food security and stable agricultural production. To strengthen the linkages between suppliers of planting material and fruit-growing farmers, scientists organized a training workshop and three round table discussions that brought together researchers, nursery keepers and fruits growers. The trainings aimed to improve nursery managers’ knowledge of fruit tree varieties, and they allowed them to reach a greater number of farmers as well as enabled them to provide a higher quality product, likely strengthening their reputations and earnings. In 2015, the 63 farmers and nursery managers trained through this activity produced a more diverse set of planting materials of six native fruit trees, thus increasing the supply of well-adapted material to farmers. They supplied 729,000 saplings of target fruits to a total of 290 farmers. Identifying the fruit tree varieties best suited for local conditions provided the ideal starting point for developing higher quality seedlings. Then, increasing nursery managers’ knowledge of the diversity of varieties of native crops stimulated their interest in producing and distributing them. In addition, facilitating a stronger network among nursery managers and other stakeholders provided nursery managers with important information—such as varieties in high demand and how to reach a bigger market—which has allowed them to improve their offer of planting material. The result is a double-win: Farmers have access to quality planting material of fruit tree varieties and nursery managers experience increased, stable incomes and better reputations. This activity was led by Bioversity International under the CGIAR Research Program on Dryland Systems and in partnership with the International Center for Agricultural Research in the Dry Areas (ICARDA), the Uzbek Research Institute of Plant Industry and the Uzbek Research Institute of Horticulture, Viticulture and Wine-making.